BE SURE TO JOIN US FOR OUR NEXT WCTH RADIO HOUR - FREE ADMISSION! "Our Miss Brooks" and "The Lone Ranger"
LOCATION: All WCTH Radio Hours are held on stage, at The Community Theatre of Howell at the Howell High School Freshman Campus, 1400 W. Grand River Ave.
SHOW DESCRIPTION: WCTH Radio Hour is a live stage re-creation of radio shows from the 1930s to 1950s. Transport back to The Golden Age of Radio from our audience. 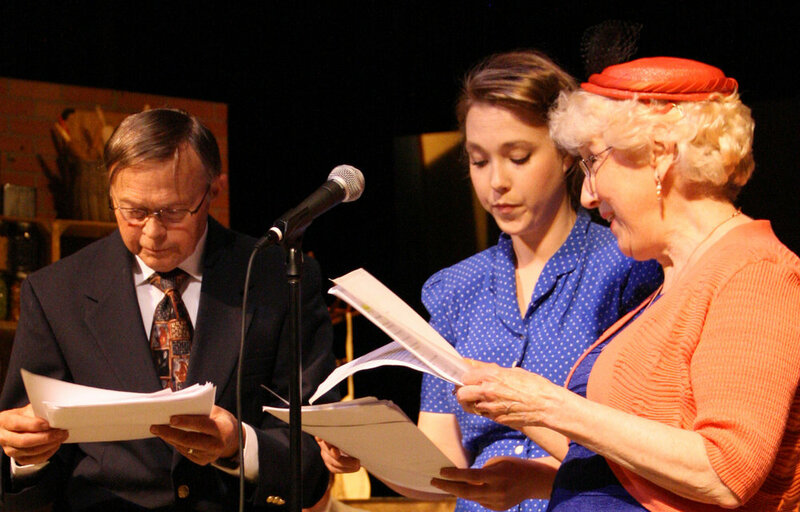 WCTH Radio Hour will have three different performance dates throughout the year. All shows are FREE, and are held at the Community Theatre of Howell / Howell High School Freshman Campus. No tickets are issued or sold. Everyone is welcome and we have lots of seats, so please come, sit back, and enjoy the show! Every performance includes about 5 to 7 actors playing multiple voice roles, and 1 or 2 foley artists providing all of the sound effects to go along with the script. Each show is done faithfully to the script, and provides the audience with a trip back in time. (NOTE: Even though this is a “radio show,” we do not actually perform on the radio/website/other audio. It’s meant to be a live staged performance, re-creating a typical work day of Radio Show actors.) CTH does 3 Radio Hours each year and each Radio Hour includes 2-3 episodes of a classic episode from the Golden Age of Radio. Auditions will be held as a Group Cold Read. This means we ask that everyone show up at the audition start time (typically 6:30) and cold read from a script. We would like to hear all the voices together, so it is most helpful if you come to the scheduled audition on time and stay for the duration. The main factor for auditioning is how you sound. This means that if you can sound like an old man, a brooding woman, an excited child, or whatever the script calls for, that’s who we’re looking for. It doesn’t matter what you look like, how old you are, etc. Each show will cast around 5 to 7 voice actors playing multiple roles. Having more than one character up your sleeve is a big plus. You must be able to read fluently. 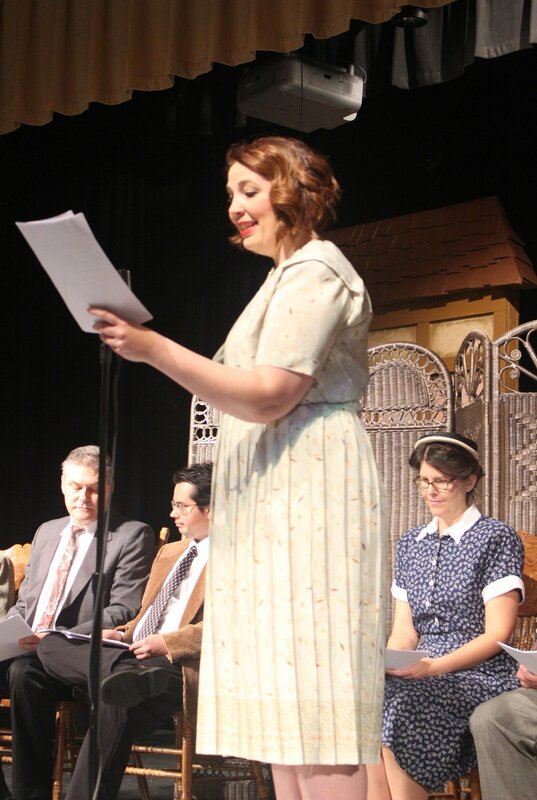 The Radio Hour is performed with scripts in hand, and timing is very important to the pace of each performance. Being able to read and speak aloud without breaking the flow is important to making the magic happen. The audition format will be readings from the script(s). Foley operators (the people who make the sounds happen) will use a mix of manual and computer sound effects that go with the show. If you have experience with foley, sound mixing, or would just like to learn, please come to auditions and let us know! Please bring all conflicts to auditions. This is very necessary for us to determine which days we can meet for rehearsals. 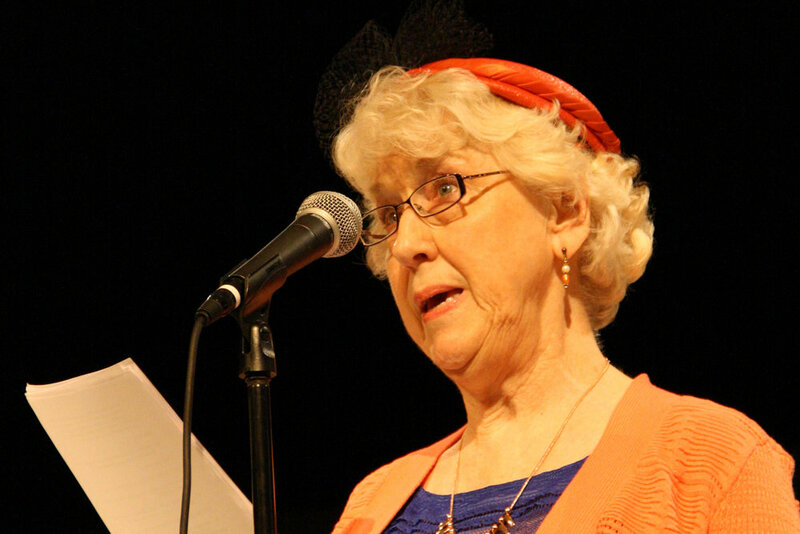 You do not have to be a CTH Member to audition – auditions are open to all, ages 13 and up. However, if you are cast, we do ask that you become a CTH Member. The cost is $25/person. Auditions will be held at The Community Theatre of Howell at the Howell High School Freshman Campus, 1400 W. Grand River Ave. Follow the signs posted for exact room location, as there are often other activities and theatre rehearsals going on at the same time. Each show has 5-6 rehearsals, a mandatory dress rehearsal and one performance. Rehearsals will be determined after auditions, when we are able to schedule based on the availability of the cast. (Please bring your conflicts to auditions. With only a handful of rehearsals, it is important that we have all cast as much as possible.) The mandatory Dress Rehearsal for each Radio Hour performance will occur the Saturday before the performance with sound and microphones. All actors will be voice acting, and read directly from the script for all practices and the performance (no memorizing necessary). In practice, you will learn your voice characterization, and timing with your fellow actors and the foley table. Performances will be held on the main stage. What audiences will see for each performance is similar: a studio audience look into WCTH. You will play the part of a 1940’s radio studio actor, ready to perform the next show on the schedule. 1940’s clothing will be provided as costumes for the Radio Hour. If you have any of your own items that will work for the time period, we will ask that you please bring it on costume day for approval. Musicians! If you play an instrument, and would like to be involved with Radio Hour, please contact Dan Squires: dansquires@live.com. Keeping in the spirit of the Golden Age of Radio, we also feature show sponsorships! Most of America’s best loved radio serials were proudly brought to the airwaves, courtesy of their commercial sponsors. As we seek to faithfully recreate some of nostalgia’s beloved shows, we will mix in vintage commercials with sponsor commercials for local businesses, 1940’s style. We take your local Howell business back in time with us, and create an advertisement that radio land audiences will know and appreciate. Sometimes our jingle writers even come out of the woodwork! If you are a local business that would to be a part of this experience, contact Dan Squires at dansquires@live.com for more details.